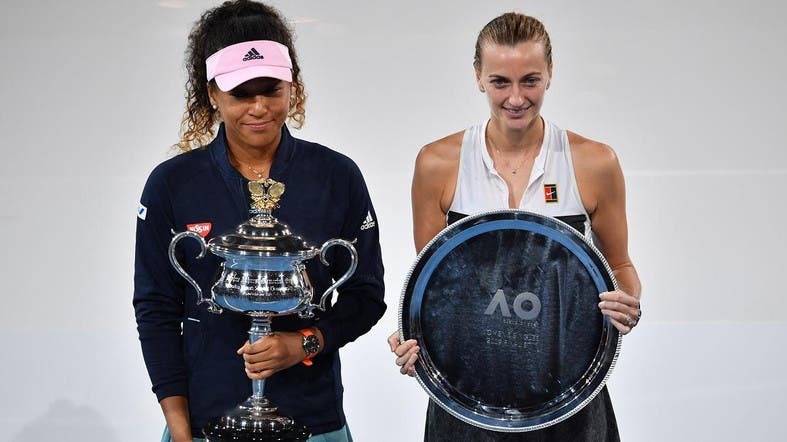 Naomi Osaka overcame nerves and a spirited challenge from double Wimbledon champion Petra Kvitova to claim the Australian Open title with a 7-6(2) 5-7 6-4 win on Saturday. It was a second successive Grand Slam title for the Japanese, after her US Open triumph in September, and she became the first Asian player to claim the world number one ranking in the process. Osaka shed tears after losing the first set from a 5-3 lead but returned to court after a washroom break calmer and more composed. She broke Kvitova in the third game of the final set and converted her fifth matchpoint to end a superb final in two hours and 27 minutes. Kvitova broke early in the second set to go up 2-0 but a doublefault from the Czech gave Osaka a second breakpoint opportunity, which she converted to get back on serve. The Czech’s confidence appeared shaken and she was broken to love before another Osaka hold gave the Japanese her fourth straight game in the second set. A teary-eyed Osaka could not stop Kvitova’s fightback as the Czech won four straight games to win the set and level the match at 1-1, after the Japanese served her fourth double fault.